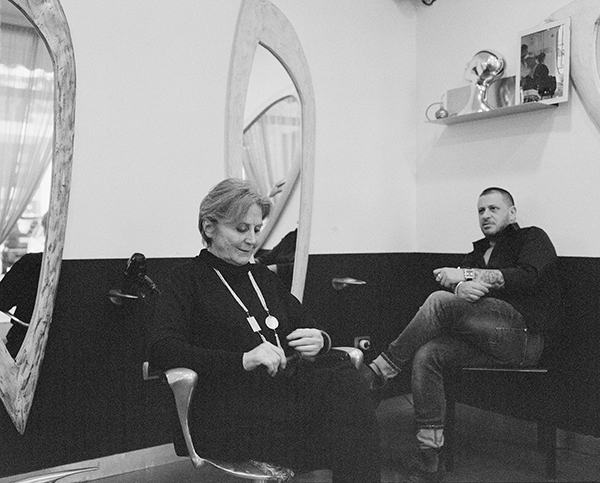 After a decade-long stint in Zurich's district four, Sabina Blum moved her hair salon Le Stelle to a new location near Goldbrunnenplatz. A glass case by the store entrance serves as miniature exhibition space. When Basel-born Blum first arrived to Zurich in 1989, Switzerland's financial hub was a place as dark and gloomy as the bleak suburban cityscapes portrayed in a legendary Swiss film by Christian Schocher. "Traveling Warrior (1981) is a minor television play and a big picture", Karsten Witte wrote in the German weekly newspaper DIE ZEIT. Schocher's protagonist is a man past his prime. Warrior is his name, traveling his trade. The secret heroine of the film, however, is a tough hairdresser from Basel, epitomized by the ever so fine Marianne Huber Donati. Huber Donati, a non-actor who, at the time, ran the dazzling Chez Donati restaurant in Basel, created the character solely from a few director's cues out of her experience of life and her sharp attitude. Her unique performance lasts a mere ten minutes, but it is unforgettable. 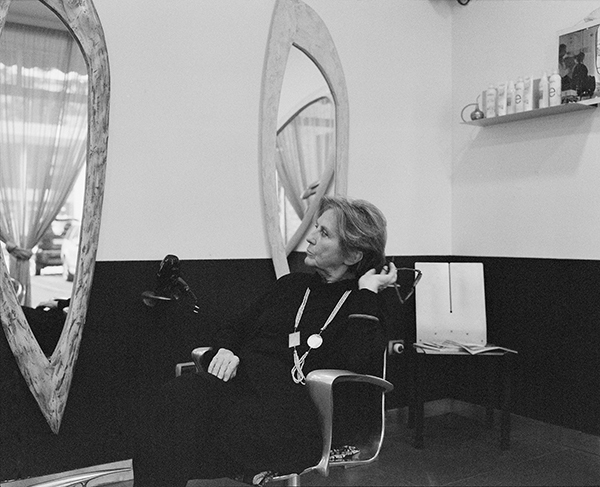 35 years later, I photographed her near her home in the hair salon she frequents in Lugano, Switzerland. Caroline Palla: Somebody Loves Me, 2015. Laser print on paper (163 x 130 cm), wheat paste. Unique copies. 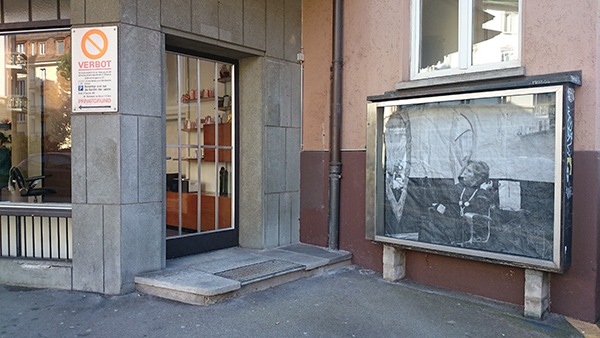 Commissioned by Coiffeur Le Stelle, Schrennengasse 37, 8003 Zurich.